BSG Conference by the Baraminology Study Group. International Conference on Creationism by the Creation Science Fellowship of Pittsburgh and the Institute for Creation Research. 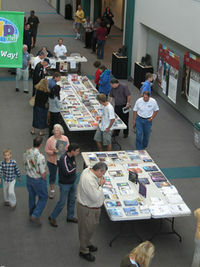 Seattle Creation Conference by the Northwest Creation Network. This page was last modified on 5 June 2013, at 16:37.